Nowadays, beauty salon service is more and more popular all around the world. it including manicure, pedicure, eyebrow threading, hairdressing, makeup. skincare and more. 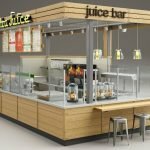 in this article what I wanna share is a popular eyebrow kiosk. if you’re interested to start an eyebrow kiosk. please follow me to see more details below. 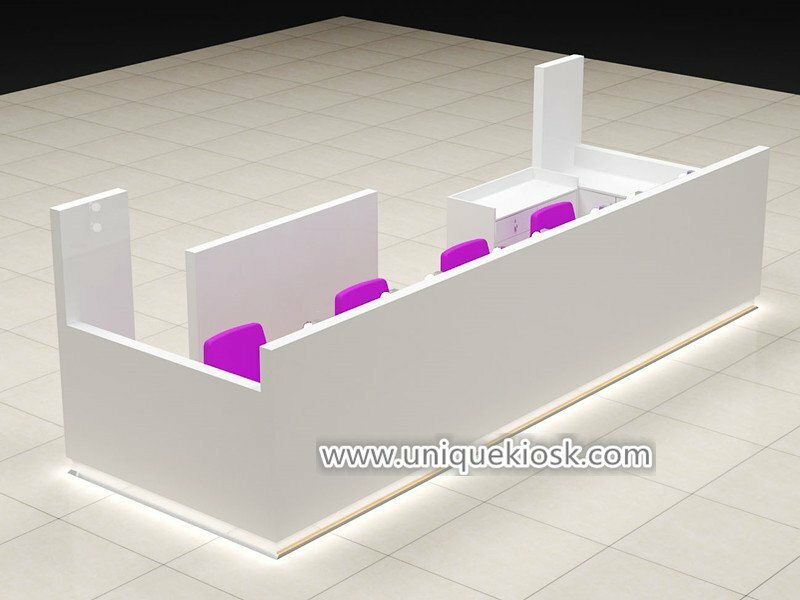 As you see the whole kiosk is very exquisite and elegant, we choice elegant white as the whole kiosk main tone. match the purple chair. the basic material is MDF, the surface is baking painting finished. white Corian worktop. The whole kiosk surface is very neat and clean, No extra decoration. 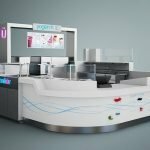 the front part is a small cashier counter, back side is a brow bar with four eyebrow threading station. Equipped with a mirror and beauty lamp, the next to is a Ceramic sink. 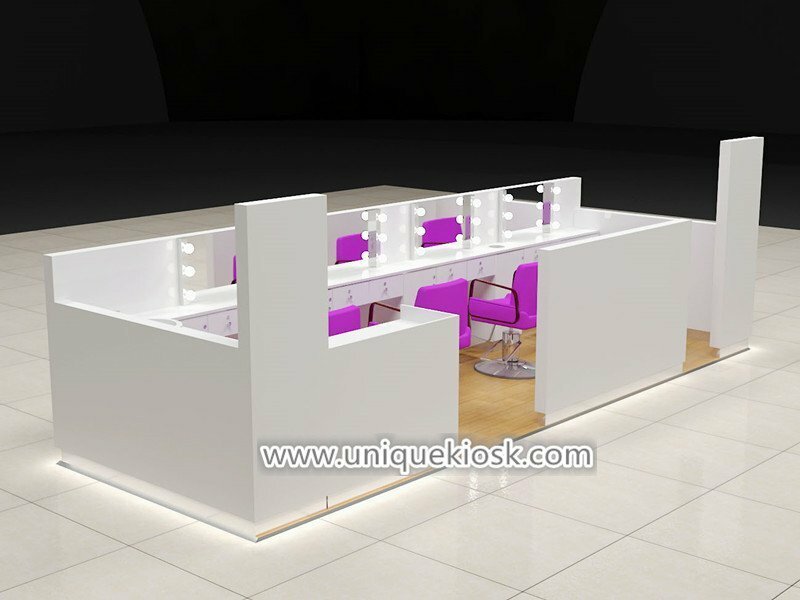 whole kiosk bottom with stainless steel skirting, it’s very bright and attractive. Accessories: sink, mirror, beauty lamp. 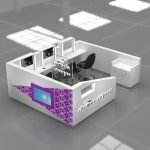 Thanks for your time and reading, hope this article is helpful for your business.if you’re interested to start an eyebrow kiosk like this one, pls direct contact us for more further info. welcome inquiry!